Even when we look our best, we can be experiencing some of the worst times of our lives. We smile like everything is going well, yet we have so much hiding behind our masks. Hurt, shame, disappointment, and heartaches are tucked behind our masks because we don’t want to reveal the pain. I’ve been there. I eventually became depressed and I didn’t want to carry the weight of all those negative emotions any longer. 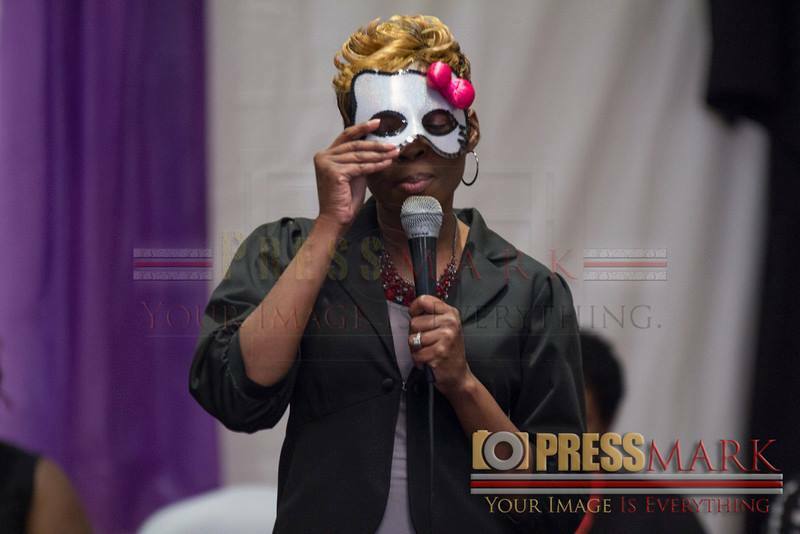 Last month, I gave you a peep into my story about depression and now that the I Survived Women’s Empowerment Conference is over, today I will tell you more. I got to a very low point in my life and I decided that I was too tired to continue living. I was tired of the struggles, tired of being angry, tired of being sad, tired of the stress and tired of fighting. One Saturday I thought I really understood why people commit suicide. I started wondering how I could do it. How can I end my life? Then I saw the faces of some of my family members – the people whom I would’ve hurt the most. I have no doubt that was God’s way of stopping me from making one of the worst decisions I could have ever made. It was after that moment that I finally asked God to help me. I had been so focused on all of the situations and life changes that eventually led to depression, that God really wasn’t my focus any longer. I was overwhelmed with emotions, but I asked God to help me through it. I was too broken to even try to help myself and I realized that my situation required God’s power. God said He would heal me, but it seemed like when I got two steps ahead, I would take one step back. I started getting frustrated, because I believed God would heal me, but I would occasionally have setbacks. I pressed forward and I anticipated the day when those symptoms would finally go away. I wanted to be healed right away, but it was a process and I believe God was teaching me patience and how to persevere through the process. It was a long road to recovery, but I made it! I had to pray and I had to fight the negative thoughts that crept in mind because this was a spiritual battle and a mental battle, but with God’s help, I survived. You can too! This entry was posted in Advice, Chaunte McClure, Women and tagged Chaunte McClure, Columbia, columbia sc, depression, every woman blog, Famously Hot, hospital blog, iSurvive Women's Empowerment Conference, Lexington, lexington sc, Lexington Women, lmc, LMC every woman blogger, Mental Health Month, Midlands, Midlands Women, South Carolina, South Carolina Women, Women, women's blog, Women's Empowerment Conference, women's hospital blog by lexingtonmedicalcenter. Bookmark the permalink.